SE Hawthorne's new neighborhood eatery offers local beer, hearty fare, and comforting desserts for balmy nights. Summer begs for simplicity. For a few precious months, Portland revels in the sanity-saving pleasures of sidewalk tables, easy comforts, and very cold beer hoisted on starry nights with family and friends. Township & Range, the third partnership for Laurelhurst Theater’s Prescott Allen and Woody Wheeler, is tailor-made for this fleeting moment. On a relatively sleepy stretch of SE Hawthorne Boulevard, walls of windows roll up nightly, drawing balmy breezes through the spacious dining room and bar. The no-frills patio bustles with daters and neighborhood denizens sharing an eclectic mix of baby-kale salad, salt-cod fritters, and messy-good fried chicken clinging to cornmeal crust. Local microbrews flow as freely as the conversation. Chef Jon Beeaker, a Bluehour and Saucebox vet, dishes out home-style, wallet-friendly food stepped up with little touches—perhaps arugula pesto to amplify a burger, or hazelnut butter to glaze seared Northwest steelhead. Nothing rings in over $15, and the big-boy portions recall the Sunday dinner table: crisp iceberg wedge salads sporting fried shallots, beer-braised pork shank toppling creamy polenta. Desserts, courtesy of former Criollo Bakery owner Melissa McKinney, are essential. 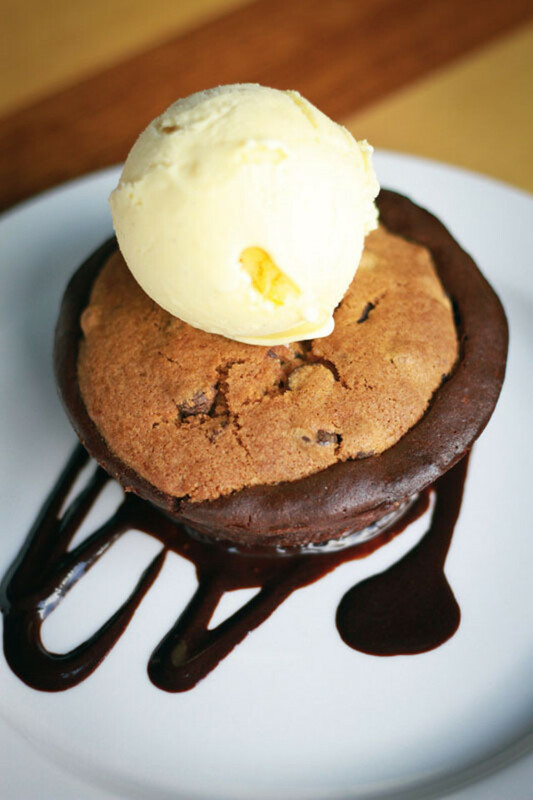 The “Brookie” brings three classics together in one happy bowl—a gooey brownie holding a chocolate chip cookie deep beneath fresh vanilla-bean ice cream. The crustless salted caramel cheesecake comes with graham cracker cookies and a question: does the world truly need forks? This is neighborhood dining done right: laid-back, affordable, and satisfying.